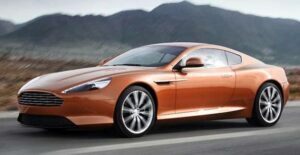 Aston Martin Virage - AutoNetTV Media, Inc.
A familiar name is returning in the Aston Martin Virage with a 490 hp V12. Check out this stunning car. You know Aston Martin was particular about the tires they put on this vehicle. Here are some tips on selecting new tires.